Let’s get you started on your wellbeing journey! 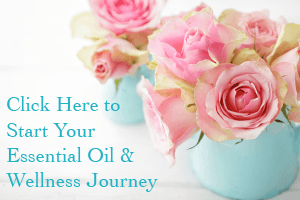 I would love to get you started on your essential oil and wellness journey – a journey that can transform your life in so many ways. When you get started with essential oils with me, you’re not only getting a package of life changing oils & accessories, you’re becoming part of a team – the aspire “joy droppers”. We are a team of oilers who will come together to support you on your “oily” wellness journey – to give you all the knowledge, ideas, recipes, and resources you could ever want or need. Me and the aspire “joy droppers” team are here to welcome You! We love our oils. We are real people with real stories. We love sharing because we believe in these wonderful products! And we love sharing with you and we invest ourselves in your oily journey. We are available for your questions, here to guide you and to change your life for the better. We offer one-on-one training, Facebook groups, email support, newsletter etc. Most people who get started start in the Premium Starter Pack with a Diffuser (either the Dewdrop or Desert Mist). This pack is packed with incredible VALUE & it automatically comes with a wholesale account and that means you get 24% on any products you choose to order after that. You get an Young Living membership that does not expire! Amazing! So let me take you through whats in this amazing Pack but first I will post a picture of what’s included. It includes a gorgeous diffuser, which uses ultrasonic technology to disperse millions of tiny essential oil particles into the air and it has enormous benefit for us in so many ways. But it’s so much more than about smell and yes it does smell good! It also includes some literature about Young Living, Ningxia Red (a delicious super juice infused with 4 essential oils. It’s so nutritious! ), samples, access to all of our groups and support & the best part is of course the 11 oils in comes with. Let me take you through which ones they are. These are oils we all need in our home and are the best ones to start your “oily” journey with. PanAway® has a stimulating aroma and is a popular and original combination of Wintergreen, Helichrysum, Clove, and Peppermint essential oils formulated by D. Gary Young. Containing wintergreen and clove essential oils, Pan-Away is often used for massage, after activity and exercise and warming aches. Containing several potent essential oils. To enrol as an Aspire Wellbeing team member, click on the image above or this link>>>>>>https://www.myyl.com/karinhagberg#enroll. Make sure the number 2451127 is in the both “Sponsor” ID and “Enroller” ID fields. Please also ensure that your country is selected. When you become a WHOLESALE member, you will get 24 % of retail prices which is amazing! If you sign u for a distributor you become part of the aspire “joy droppers” community where we provide support, inspiration, private Facebook where you can ask questions, learn and share your own experiences too. You will access videos, private online classes and our business mentoring and coaching if that is something that interest you too.